After the failure of Godzilla 98 at the box office Toho returned to making Godzilla movies. Godzilla 98 had a $130 million budget but only made $136 million domestically. Godzilla did make another $242 million overseas for a total of $379 million. These numbers were not solid enough for Tri-Star to make the two squeals originally planned so the right for Godzilla reverted back to Toho Studios. This new movie and the 4 Godzilla movies that came afterward are known as the Millennium Series and for continuity buffs only two of these movies would be related to one another. They all pretty much ignore the continuity of both the Shōwa and Heisei Series. In today’s parlance it is as if each movie of the Millennium series was a re-boot. I will say more on that with each of the Millennium Series movie I review. Before I move on to the review of Godzilla 2000, I want to add that even though I grew up on the Shōwa Series the Millennium Series is my favorite series and I look forward to reviewing these movies. Here is a synopsis of the plot. There exists the Godzilla Prediction Network (GPN) which is a network of individuals that independently study Godzilla and try to predict his landfalls. A reporter is following a small father-daughter unit that has predicted Godzilla’s next attack on Japan. While Godzilla’s whereabouts are being predicted scientists from Crisis Control Intelligence (CCI) have discovered a 60 million year old UFO at the bottom of the ocean. 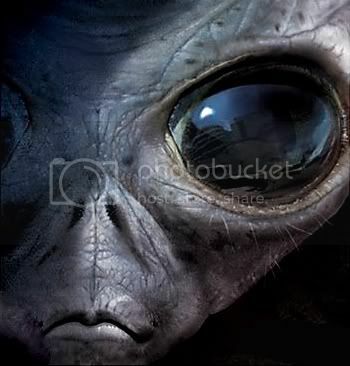 Unbeknownst to the scientists the light they used to find the UFO has woken it up. Just as the UFO begins to fly around Japan Godzilla arrives in Tokyo Bay where it is greeted by the Japanese military. Godzilla fights the UFO to a draw but not before the UFO copies the DNA of Godzilla. 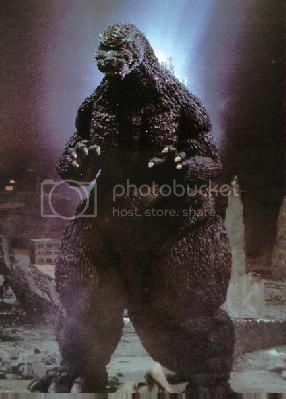 Yuji Shinoda, the GPN scientist discovers that Godzilla DNA contains Re-generator G-1 which enables him to heal quickly. Yuji also has a conflict with the head of the CCI who beleives Godzilla should be destroyed while Yuji believes that Godzilla needs to be studied. When the UFO returns it uses the Re-generator G-1 cells and morphs into a giant monster which confronts Godzilla in an epic battle with Godzilla triumphant in the end. Other than the original 1954/56 version of Godzilla, this is one of my all time favorite Godzilla movies. First of all this movie introduces us to a redesigned Godzilla. Although many people often mistakenly refer to Godzilla as a giant green lizard, in this movie he actually is depicted green in color. He has been reduced in size from 100 meters in thigh to around 50 to 55 meters depending on which source is correct. He also has giant irregular sharp dorsal fins that are silvery and purple in color. Now if you would have told me that Godzilla was going to be depicted green with purple dorsal fins for this movie I wounded have said the designers are crazy! But this design works. Actually it is my favorite Godzilla design out of all of them. This exact design would be used for the next movie, Godzilla Against Megaguirus. In 2001’s, Godzilla, Mothra and King Ghidorah: Giant Monsters All-Out Attack , an entirely new design would used. The Godzilla 2000 design would be utilized once again for the next two movies except with a more traditional color scheme. The last Godzilla film, Godzilla: Final Wars, which came out in 2004, would do a more retro re-imagining of the Shōwa Series design. A unique and creative development that began with this movie is the way Godzilla’s atomic breath begins to fire. We have the traditional illumination of the dorsal fins but what is new is that as the dorsal fins are lighting up we see the plasma beam building up in his mouth as energy from the air gets sucked in. That is an awesome effect! It is orange in color which I don’t care for but it would return to the more familiar bluish white in later movies. I also like the story. I do find it odd to pair Godzilla with aliens but since these are two of my favorite subjects in science fiction it can be enjoyable when done well. The Godzilla franchise has a hit and miss reputation with these types of films and I find this one to be one of the best enjoyable hits of this kind of movie. I still have a few unanswered questions though. Unlike other Godzilla vs Aliens movies we never get to see the aliens in this film, we only see the ship morph. So I am not sure if there are aliens in the space ship or is the ship itself the alien? I like the actors and the main character, Yuji Shinoda is very likable. So are the reporter and Yuji’s daughter. However, the way his daughter and the reporter bicker does get old after a while, thank God it doesn’t last. I really enjoy the special effects with this movie. The scenes in the early part of the movie where Godzilla is attacking the city against a red sky is very moving. I like the final morphing of the alien into Orga, although the name of the monster never is mentioned in the movie, and Godzilla’s creative manner in which he defeats his nemesis. Though the morphing a creature or alien into different stages has been done before, and will be done again, I don’t mind as long as it works within the movie and this one works quite well. This is one of the movies that also balances the concept of the good Godzilla against the bad Godzilla. In the later 60s and 70s Godzilla became the hero. 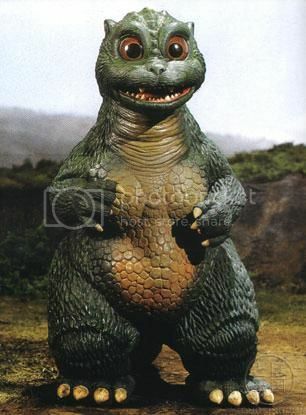 The Heisei Series, for the most part, returned Godzilla to the original malevolent role. He is a malevolent monster in this movie and his role as the hero is circumstantial and not intentional. He is acting in self-defense and if it happens to help humanity while he is protecting himself that is just a side benefit. The movie is fun and entertaining. It is not somber and foreboding like the original, but it is lighthearted thoroughly enjoyable with an interesting story with fascinating alien concepts about along with likable characters that makes me want to watch to see what happens to them all. As a big fan of Star Trek I have observed that continuity is an important and fun aspect of being a fan. Since the 1960s Star Trek has grown into a large universe of stories and characters that fans like to have molded into a cohesive continuity. For the large part it has been successful. The Godzilla franchise is a different story. I have observed that continuity is important for some fans of the franchise but not to the degree it is for Trekkies. For myself I do not feel continuity is as important in the Godzilla franchise as it is for my enjoyment of Star Trek. In Star Trek the focus in storytelling is on the human characters we can relate to, so I find continuity more essential in that franchise. In Godzilla stories the general focus is on a giant monster and only a very few human characters are featured in more than one movie. That lessens the need for continuity between films for my enjoyment. Before I move forward I want to distinguish the difference between Continuity and Canon. I have been on forums and message boards where some fans use these terms interchangeably. They are not synonyms. Canon refers simply to a complete body of work. Continuity is the weaving together of i the characteristics of characters, plot, objects, and places as understood by the reader or viewer. So something can be Cannon, part of the official body of work, but not be congruent with established continuity. Even in Godzilla movies some type of Continuity exists and is essential. For example, Godzilla being basically a monster that is indestructible and having the ability to breath a plasma/fire type of weapon is established continuity for the character. That is one main reason why many fans turned up their noses at the 1998 American version of Godzilla. The American version of Godzilla deviated away from the continuity of the established characteristics of Godzilla that it was difficult for fans to see that creature as the Godzilla they have come to enjoy and appreciate. The Godzilla franchise is divided into three eras. The first two eras are named after the reign name of the Emperor of Japan. A unique aspect of the Japanese monarchy is that during the reign of a monarch the emperor is not refereed to by his given name. He is simply called the Emperor or His Imperial Majesty the Emperor. After the death of the emperor his reign will be given a name. In the case of Emperor Hirohito who ruled from 1926 to 1989 his posthumous reign is called the Shōwa Era. Therefore the Godzilla movies made from 1954 to 1975 are called the Shōwa Series of Godzilla movies. 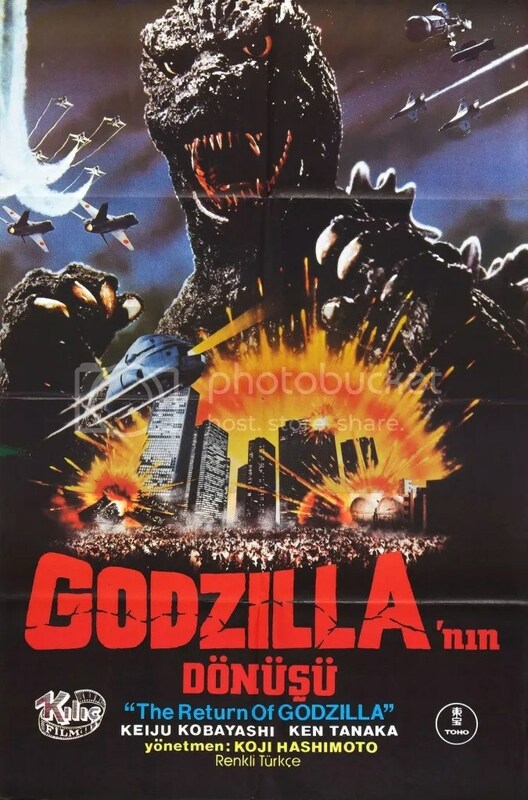 Godzilla was retired for 9 years after 1975 and this is where the naming of the eras of Godzilla movies makes an exception. The Godzilla movies made from 1984 until 1996 are called the Heisei Series which is the future reign name of Japan’s current Emperor, Akihito. In 1984 Toho Studios rebooted the Godzilla franchise. 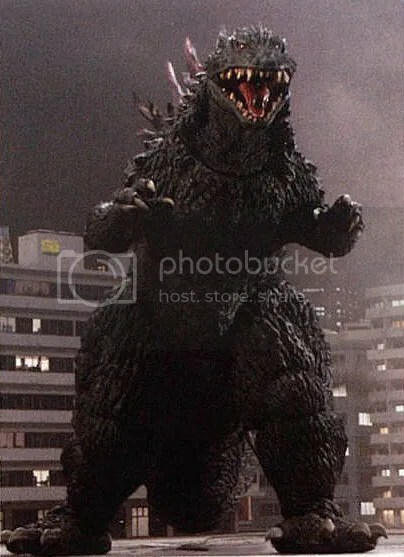 While technically the 1984 movie, called simply Gojira in Japan and Return of Godzilla in the US, it was produced and released in the Shōwa Era of Godzilla movies it is considered part of the Heisei Series due to the fact that the movie started a new continuity that would continue for the next 6 Godzilla films. The Heisei Series of Godzilla movies ignores the existence of all the Shōwa series movies except for the 1954 original. After the failure, or shall I say relative failure, of the 1998 American Godzilla film Toho decided to continue to make more Godzilla films. Starting in 1999 with the movie Godzilla 2000 and continuing for 5 more movies culminating in the 2004, 50th anniversary extravaganza, Godzilla: Final Wars. This series of movies has come to be known as the Millennium Series. Each of these movies ignores both the Shōwa and Heisei movies to a large or lesser degree. Godzilla 2000 does not mention any previous movie but does indicate Godzilla has been around before. Except for Shōwa Era and Godzilla: Tokyo S.O.S. 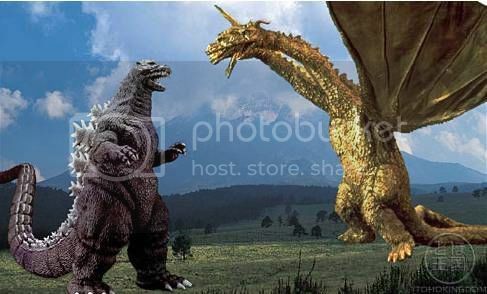 (which is a story told in two parts) none of the Millennium Series movies are connected to each other.Godzilla, Mothra and King Ghidorah: Giant Monsters All-Out Attack mentions the American Godzilla giving some evidence that would place that movie as part of the Millennium Series. Godzilla: Final Wars is difficult to place. Since it is a celebration of 50 years of Godzilla and given the fact that most of the monsters featured in the film are from the Shōwa Series (with some exceptions) most place it with the Millennium Series due solely to the fact that it was released in 2004. I enjoy all the movies pretty equally across the three series. Although I grew up on the Shōwa Series, my first Godzilla movie in the theater was Destroy All Monsters in 1969, my favorite series is the Millennium Series because I enjoy the stories more, they are less campy than the later Shōwa Series, and the special effects are so much improved over the other series and there are at least 4 different Godzilla designs to enjoy. This was the last Godzilla of the Heisei series. For its last film long time producer Tomoyuki Tanaka tapped director Takao Okawara to helm the film. Akira Ifukube returned for the very last time to write and produce the film score for a Godzilla film. 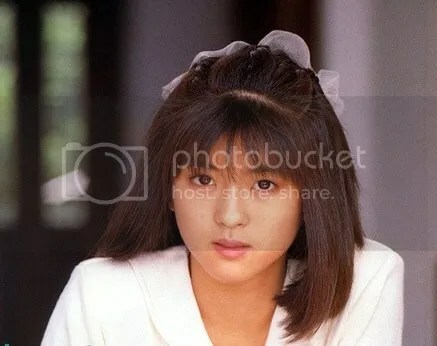 When the movie begins we see Miki Saegusa and another psychic, Meru, discovering Birth Island, where Little Godzilla and his papa were last seen, has been destroyed. The next scenes flashes to Hong Kong where we see a burning and flaming hot Godzilla rise from the ocean to attack the city. Noting that something is terribly wrong with Godzilla a brilliant young college student, Kenichi Yamane, adopted grandson of Dr. Yamane the paleontologist from the first Godzilla movie, knows what is going wrong with Godzilla. He has theorized that Godzilla’s heart, which is more like a nuclear reactor, is in meltdown mode and will soon explode devastating the earth. While this is going on the Ariake district of Tokyo is experiencing problems with the soil because it contains no oxygen. Also a large public aquarium suffers losses when microscopic sea creatures destroy all the sea life in the aquarium. It is soon discovered both of these phenomena are repercussions from Dr. Serizawa’s oxygen destroyer invention from 1954! The Super-X III is launched to confront Godzilla and attempts to freeze him so he will not continue to meltdown. Although the process is successful it proves to be only temporary. The microscopic sea creatures begin to grow and morph into several creatures. Suddenly from the sea Little Godzilla rises up. However, he is now called Godzilla jr as the radio active fallout from the destruction of Birth Island. Miki Saegusa telepathically tells Godzilla jr. to meet up with with the monster that has morphed into one creature. Godzilla jr. confronts the monster and beats him easily. Just as the victory seems assured Godzilla himself shows up. If his core temperature rises he will explode shortly. At this stage the monster defeated by Godzilla jr morphs into one giant bat-winged 394 foot tall monster called the Destroyer. Destroyer quickly carries off Godzilla jr, who is much smaller to the fully grown Destroyer, and drops him into a building which violently explodes killing Godzilla jr. This enrages Godzilla and the two giant behemoths begin to fight. 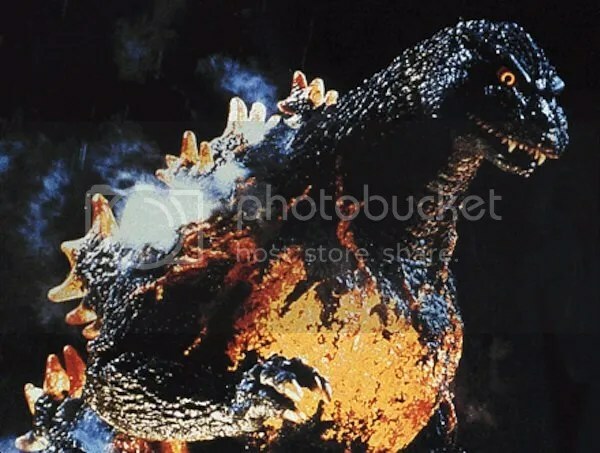 After a noble fight a weakened Godzilla tries to blast Destroyer one more time with his atomic breath and Destroyer blows up in a giant fireball. Godzilla then turns his attention on his son and tries to revive him but to know avail. Then Destroyer rises up one final time but he is too much for Godzilla. The Super-X III swoops in and deals Destroyer a destructive final blow. After the death of Destroyer Godzilla begins his final meltdown. His radiation levels begin to plummet and instead of exploding we view Godzilla slowly melting away like a waxed candle. As Godzilla fades from existence the radiation leaking all around revives Godzilla jr who has morphed into an adult Godzilla and as the movie ends he lets out the familiar Godzilla roar. In my opinion this is the best of the Heisei series. They certainly went out with a bang! Pun intended. One of the things that I enjoy about this movie is how it ties into the 1954 original movie. There are references to Dr. Serizawa’s oxygen destroyer and even Momoko Kochi reprises her role as Emiko Yamane from the first film. In my past reviews I have mentioned that the events of the 1991 time travel laden film Godzilla vs King Ghidorah erased the original movie, along with the first two movies of the Heisei series, from the time line. I was wrong about that and in a future blog post I will discuss the time line of the entire Godzilla franchise. The special effects are really very well done in this movie. In the start of the movie we see Godzilla rampaging through various cities. 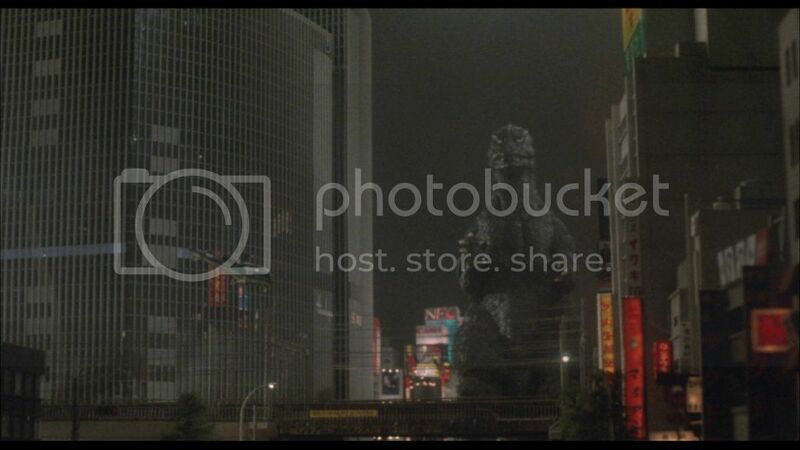 I think these are the most realistic looking depictions of Godzilla in a city. 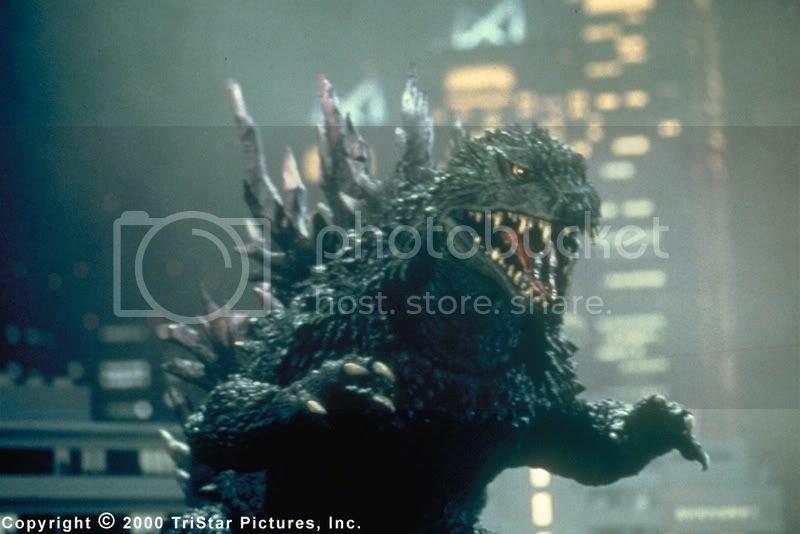 Often Toho will use models when Godzilla fights his enemies and will sometimes use Godzilla as a backdrop against a real city scene with real people. The latter are that type of scenes we see at the start of this movie and they are best I have seen. I like the design of Destroyer and since he is the result of the toxic pollution from the oxygen destroyer and given that he morphs from a seas creature into many creatures and then eventually a giant monster, was the same scenario in Godzilla vs the Smog Monster. Some people criticized the movie for repeating that scenario but I cannot place blame on them especially when this movie executed those ideas more successfully. It was sad to see Godzilla die and yet the way it was handled was very moving and very well done. What I have mixed feeling about is the revival of Godzilla jr into another Godzilla. If you have read my post “Let them Die” you will see that I don’t like when the franchise will not kill off a main character. On the one hand having Godzilla jr revived and morphed into Godzilla does take away the sting of Godzilla’s death. On the other hand ending the movie with the death of Godzilla and his son would have been a bold move but a bit of a downer. Also, having Godzilla live once again does speak to the point that Godzilla is indestructible. So I am mixed. All in all one of the better Godzilla movies. 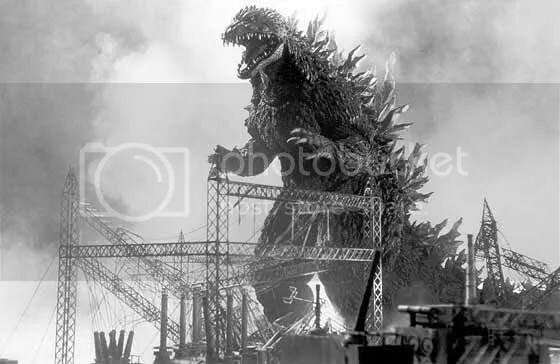 Toho was not planning on making any more Godzilla movies for a long while as it had turned over the right to the character to Tri-Star pictures for them to make a series of American produced Godzilla films. Stay tuned for next week when I review that film. This is one of my favorite of the rebooted, or Heisei series, and it has everything in it! It has Godzilla and spectacular monster fights with his number one nemesis, Ghidorah, (now raised in rank to King Ghidorah), time travelers and androids! It also has a very convoluted plot and enough twists and turns to satisfy anyone. There is humor and action and destruction. The special effects are also very well done. The movie was directed by Kazuki Omori and this would be a very controversial film for him. The film depicts a very pro-Japanese tone in an era of rising Japanese financial power and many thought the film was anti-American. I can see that at the time some of the remarks, scenes and characters could be construed as anti-American sentiment, but viewing it here 21 years later those comments and scenes to have lost much of their sting. One of the more favorable aspects of the film is the return of original music producer and writer Akira Ifukbe. The plot: As I said it is convoluted and as with many time travel movies it has large Swiss Cheese style holes in it. The movie begins in the year 2204 and we see a submarine examining the remains of King Ghidorah resting at the bottom of the ocean. The next scene shows the year 1991 and a UFO flying over Tokyo. The next day it lands and out come three people. Two Caucasians, one named Wilson, the other Gurenchiko and a gorgeously sweet and adorably cute Japanese woman named Emmy. Instead of typical aliens coming out of a UFO these three are time travelers from the year 2204. They are called the Futurians and they have come from the future, with an android in tow, to rescue Japan from the clutches of Godzilla. The Futurians mention that Godzilla will return shortly and the destruction that follows will make Japan a radioactive wasteland and uninhabitable in the future. The sub-plot involves a wealthy business man named Shindo who experienced a large dinosaur, called a Godzillasaurus, on Lagos Island in 1944 during World War II. It seems that in 1944 the Godzillasaurus rescues a Japanese force from annihilation by an American squadron on Lagos. Shindo was a member of that Japanese force. This Godzillasaurus remained on Lagos Island and was subject to fall out from nuclear testing resulting in the first creation of Godzilla in 1954. Terasawa, who would write a book about Godzilla in the future, is taken by the Futurians, along with psychic Miki Saegusa and professor Mazaki back to Lagos Island in 1944 to prevent the creation of Godzilla. They bring with them three cute dragon like creatures called the Dorats. I bet you can see what is coming next. After witnessing the Godzillasaurus defeating the American forces (watch for a funny and groan worthy Steven Spielberg joke) the Futurians teleport the wounded Godzillasaurus to the ocean floor in the year 1991. Right before they go “back to the future” Emmy leaves the Dorats behind. When they all arrive back in 1991 we discover that Godzilla never existed (although many people do seem to know about him) and in his place comes King Ghidorah. Yup, the little Dorats have mutated into one giant monster. It seems the Futurians were not there to save Japan after all. Instead they came to ensure Japan’s destruction. It seems that in the future Japan was not destroyed by Godzilla but had in fact become the most wealthy and powerful nation on earth. Emmy, it seems has been unaware of the plans fellow time travelers and begins to work with Tersawa, Miki Saegusa and professor Mazaki to try to bring back Godzilla in an effort to defeat King Ghiodorah. Shindo has a nuclear powered sub built in an effort to resurrect Godzilla. However before their plan can be put into service a Russian nuclear sub crashes near the Godzillasaurus and suddenly the largest Godzilla ever seen comes out from the depths of the ocean. This Godzilla makes short work of King Ghiodorah, ripping his middle head off in the process. Now without anyone standing in his way Godzilla begins paving a path of destruction across Japan. Emmy, Terasawa and professor Mazaki now have to concoct a plan to defeat Godzilla. So Emmy says lets go to the future and bring back King Ghiodorah to defeat Godzilla!!! Hu? What? Hmmm…but didn’t you just create Godzilla to defeat King Ghiodorah in the first place? Now you want to bring King Ghiodorah back to defeat Godzilla…it seems like we’re caught in an never ending loop! So Emmy returns to the future where the body of King Ghiodorah is revived and enhanced with cybernetics to become Mecha-King Ghiodorah. With Emmy piloting Mecha-King Ghiodorah she/they defeat Godzilla and she drops both monsters into the ocean. This movie is a wild and wacky ride and a heck of a lot of fun. I am also a huge Star Trek fan and many fans such as myself really enjoy the continuity within that franchise. The Godzilla franchise is another story. The original Showa series (1954-1975) is a loose continuity, meaning its there but all the directors of the various films were flexible with the continuity. Godzilla vs King Ghiodorah shatters that continuity. The rebooted Heisei series scuttled the prior continuity except for the original movie. Well, this movie even destroyed the limited continuity of the first two Heisei movies. In the 1954 original Godzilla dies at the end. 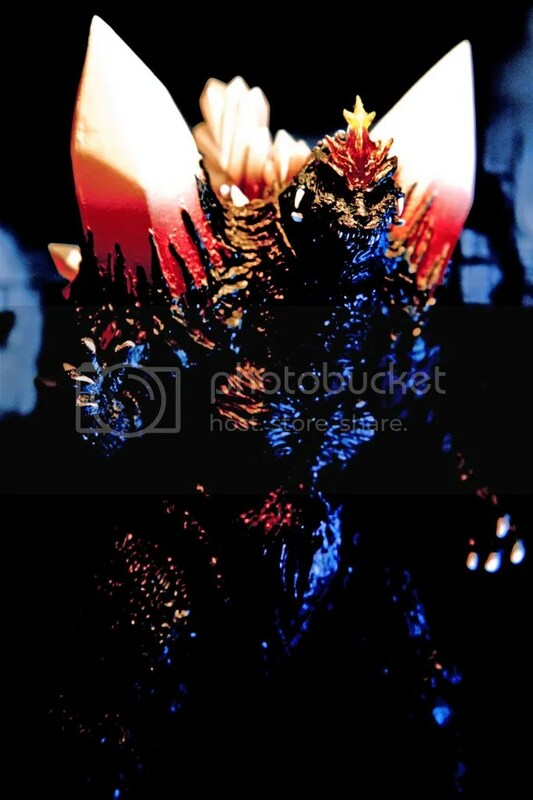 The rest of the Showa era series is ignored and in the Return of Godzilla, the Godzilla that is depicted in that movie is the second incarnation of the creature. But this movie erases all of that. Now, for the rest of the Heisei series Godzilla never appeared in 1954 at all! 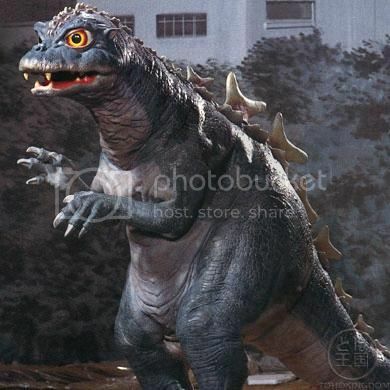 He never appeared in 1984 Return of Godzilla or 1989 (Godzilla vs Biollante). In fact the events from those movies are erased! So this movie reboots the entire franchise once again with Godzilla making his first appearance in this movie. Then, as you will see in a few weeks, the last of the Heisei series does reference the 1954 appearance of Godzilla! Confusing isn’t it? So the continuity is a bit of a mess. So if you don’t care about continuity this movie is a lot of fun and action. The acting is good although the scenes with the android are a bit silly. Godzilla looks real good and the special effects with him and King Ghiodorah are very well done. I think the time travel element is very creative and used for a good plot device in moving the story forward.